I am back after a long time with a cute Quilling frame. I made this frame for one of my friend’s wedding anniversary gift. In this frame the 2 birds flying with a flower basket as a symbol of life journey. I used 3 m.m wide strips for this quilling frame work preparation. 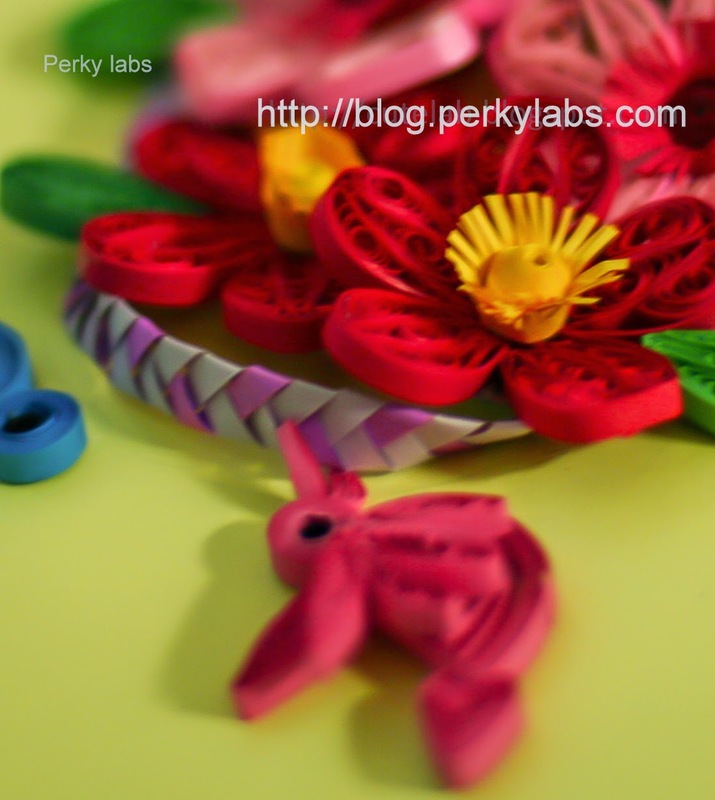 In making quilling flowers and leaves basic shapes like marquee and triangle are used. For making basket and handle used paper weaving technique. I’ve used different colors of paper strips to make it more color full. For making the basket handle I used the same weaving technique how we plate our hair. It turned out very beautiful! I'm sure your friend will love it!